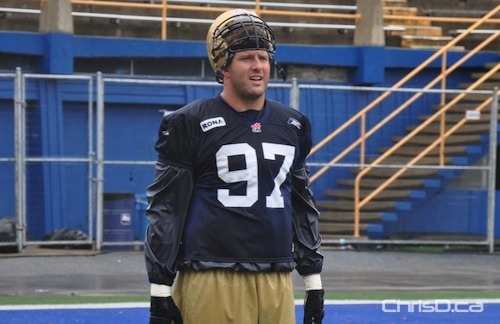 The Winnipeg Blue Bombers are bringing back one of their veteran players for the 2011 season. Doug Brown will make his 11th CFL appearance, the football club announced Wednesday. “There is a lot of upside for this ball club,” Brown said in a statement. “Whether that amounts to a championship in 2011 or not, I would not be interested in returning if I didn’t see tremendous opportunity for this season and a chance for the Blue and Gold to return to the caliber of play that so many expect from us in this community. Brown has been named the Most Outstanding Canadian for the past five straight years, managing to accumulate 397 tackles, 18 tackles for loss, 11 fumble recoveries and 9 forced fumbles during his time with the club. “Not only can he still produce on the field but his leadership in our locker room is something that you can’t replace. He is a consummate professional and a player our young guys look up to,” said Head Coach Paul LaPolice.